Originally conceived as only a baseball and softball park, this project started as what was known as the “Field of Dreams” project. 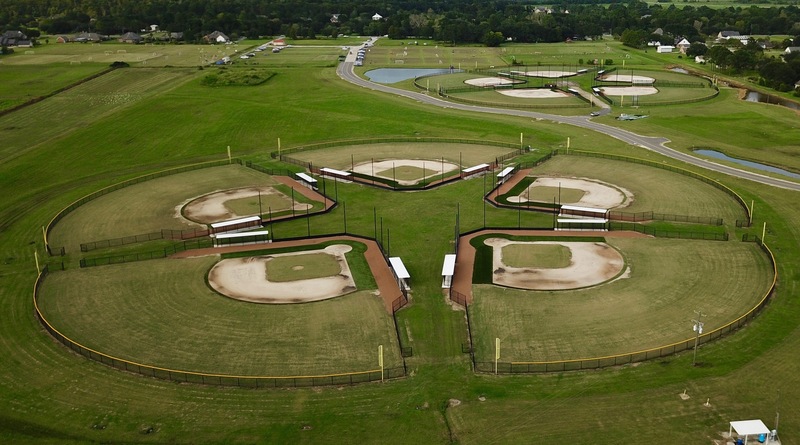 The dream was to create a quality venue for recreational and travel baseball and softball games. Various contiguous tracts of potential property totaling 154 acres were located for purchase. Before the actual purchase could be completed, it was necessary to determine if the program design could be fulfilled on this site. This was accomplished by a substantial study of the recreational needs and demand, the potential site, and general purpose for the park. This was done to determine the feasibility and financial viability of the dream, to make certain that this new recreation area was in fact what the Parish needed and desired. 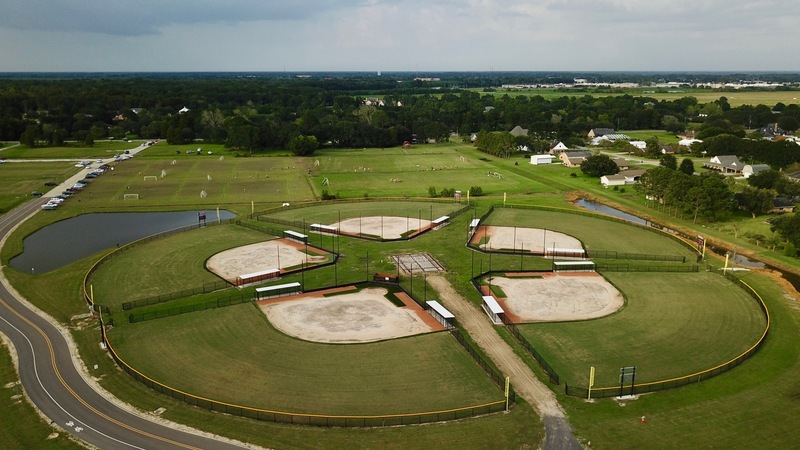 This park strives to address the sports and recreational needs of everyone living in the Parish, not only the needs of youth sports and traveling teams, but also the needs of the people of the Parish in general. 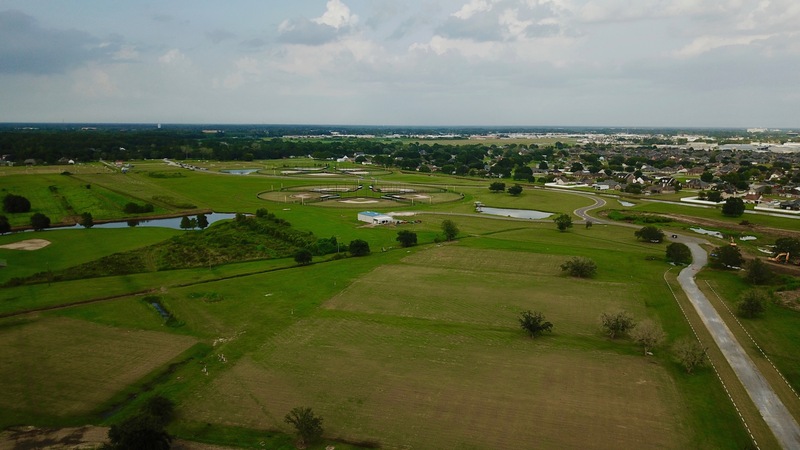 In order for the project to be feasible, it was determined early in the process that the park should enhance the quality of life of the citizens of Terrebonne Parish through outdoor recreation as identified in the Vision 2030 Comprehensive Plan Update. The goal is that this park should be inclusive of many aspects of recreation and should be more diverse than simply baseball and softball fields. It was recognized that the recreation industry and the ability to bring out-of-town “sports tourists” to this complex will create a significant economic impact for the Parish. This influx of out-of-Parish income will enhance the feasibility of the development and sustainability of the park. The Steering Committee conceived of the Park Master Plan as a tool to provide strategic and visionary planning for the development of both programs and facilities within the Parish. 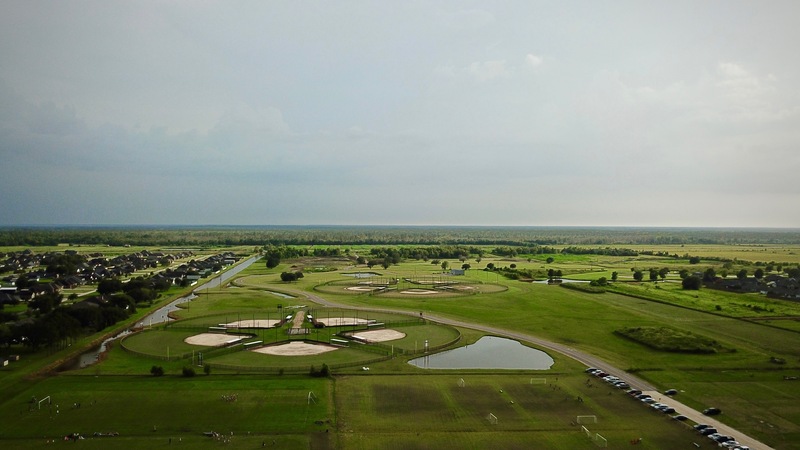 The overarching effort is to create “top-notch” recreation programs and facilities that are integral to community life,and to build on the unique assets and character of Terrebonne Parish. The park will also provide a destination of quality for visitors through the reputation of the warm and friendly nature of the area. study phase of the project. Several different options were explored to completely study the feasibility of the land. These options were vetted with the Steering Committee, stakeholders, and the public, and then revised accordingly. Finally, the Master Plan was developed based upon the feedback from the Steering Committee, stakeholders, and the public. The process recommended the purchase of 114 of the 154 acres, as well as an option to purchase the remaining acres. 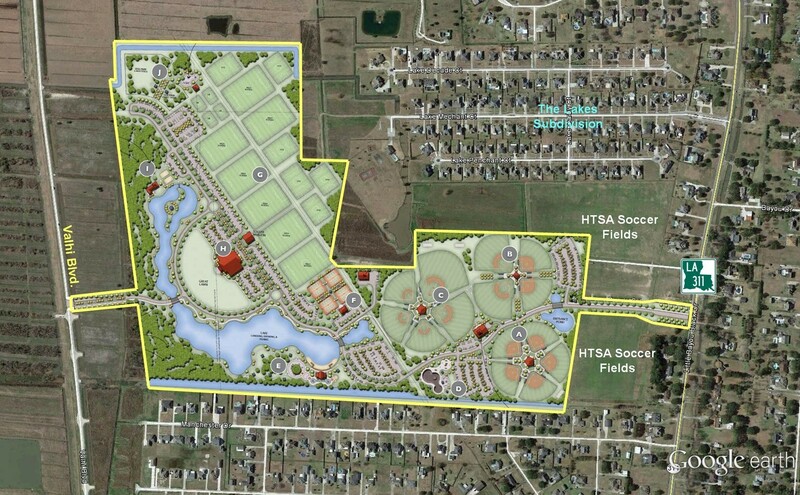 The Final Master Plan will be successful with or without the purchase of the additional acreage. This document provides a guide for future developments in a manner that preserves the unique character and history of this community within Terrebonne Parish. Further improving the image and vitality of Recreation District 2-3, the plan also includes leisure and recreation opportunities for community members of all ages and abilities. Recreation and leisure activities are closely linked with quality of life perceptions. The vision for the park will inspire pride within the community, encouraging long-term private sector investment and sustained economic development. This Master Plan is an adaptable tool for developing the park and working with local, state and federal agencies as partners in achieving the visionary goals of the Master Plan. These drone photos, taken on August 14, 2018,were supplied by Joey Furr whose firm is currently working on the project.